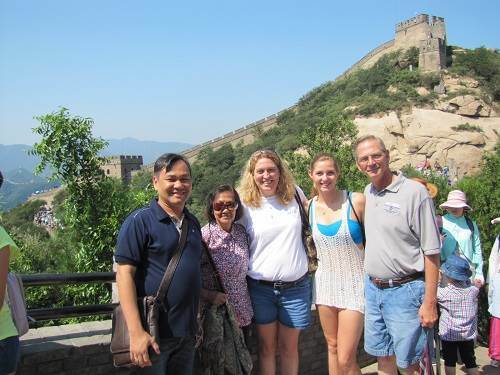 If you would like to catch a glimpse of Beijing within a tight schedule, Beijing day tours would be your best choice. We have various one day tours which cover the most famous attractions of Beijing, such as the Great Wall, the Forbidden City, Summer Palace, Temple of Heaven, Hutong and etc. Coach tours and private tours are available. Coach tour is for tourists who would like to join a group tour. The tour group is made up of 6-10 English-speaking tourists from all other countries. English-speaking tour guide is available. Our vehicle for coach tour is Coaster New air-conditioned tour coach(click for picture). Beijing day tours usually start from 7:00-8:00 in the morning, finish around 6:00 in the afternoon. Our driver will pick you up at your hotel in Beijing downtown and take you back to your hotel at the end of the tour. The day tours exclude hotel accommodation, click here to book a hotel in Beijing. Beijing day tours cover Forbidden City, Summer Palace, Temple of Heaven, Hutong, Beijing Zoo or others. Visa-free for tourists from 45 countries who have outbound air tickets and visas to a third country. We will pick you up from the airport and transfer you back to the airport after the tour. If you would like to spend a few days in Beijing, you can combine different day tours together or you could book a tour package directly. Click here to view Beijing Bus/Group Tours, Beijing Private Tours. If you have any questions about Beijing tours, please feel free to inquire us. Click here to make a inquiry Click here for more Beijing Tours. Our tour operator will reply you soon. Please check your email.